The Dolce Gusto Eclipse can best be described as an innovative automatic capsule coffee machine with a unique opening mechanism. That may be what sets it apart aesthetically, but there’s so much more hidden beneath layers of intricate design and finishing’s that you may just find your ja dropped straight to the floor after observing the Eclipse in all its glory. Eclipse comes with a touchscreen interface and the Play&Select Technology; this tech allows you to customize each beverage to your taste. With the exclusive Play &Select technology, you can customize each cup to your flavour and have your coffee just the way you like it, and it even has an XL function designed for bigger cups. And if you want to make it even easier, just follow the preparation recommendations in each box and capsule. This professional quality high pressure system up to 15 bars allows you to enjoy that coffee shop quality coffee at home from espressos to bold black coffees, cappuccinos, frothy lattés, chocolates, teas or even iced coffee. Take your pick from over 12 high quality coffee creations: choose from the range of intense espressos, smooth cappuccinos, even hot chocolate, teas, and many more. 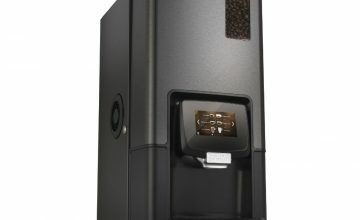 The adaptable Eclipse capsule coffee machine can prepare not only hot, but also delicious cold beverages. Eco mode automatically switches off the machine after 5 minutes of inactivity. The machine has an A rating for energy consumption. A discovery box of six assorted capsules is included with the Eclipse capsule coffee machine, so you can create delicious beverages right away. With the two-year guarantee, you don’t have to worry about your machine. When you the Dolce Gusto Eclipse on, it automatically opens, turning into a coffee machine from the future! Most may not even realise it is a coffee machine at first, considering we have yet to see anything in this design level until now. The touch screen is cool. It may seem rather “basic” to coffee lovers who have used the likes of Jura with interactive TFT displays, however, the touch screen does what it is meant to do, and it does it in a classy way. This nifty little beast will remind you when it needs descaling, which helps you keep it in tip top condition. 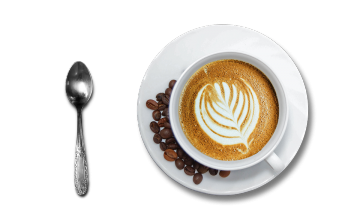 It will also allow you to expand the lifespan of your machine by avoiding limescale build-up, but it will also allow you to continually prepare some of the best tasting coffee possible. Better water quality means better coffee quality! It’s self-cleaning – when you first use it, it takes itself through a cleaning cycle which is handy. It will also prompt you to conduct another cleaning as soon as internal sensors pick up that it requires a bit of a freshener. There are 40 different coffees you can make from it! It’s a closed capsule system, so you buy Dolce Gusto capsules and mix and match them for the various combinations. The world really is your oyster! The coffee tastes good. Apart from a great crema (very rarely experienced when using capsule coffee machines because of their very nature), the 15 bar pump ensures consistent and reliable quality in every cup. It’s quicker than most other coffee methods. If you’re up against a cup of instant coffee, you’ll never win (and we mean that in every sense of the term! ), but preparing a coffee from the Dolce Gusto Eclipse means a whole lot of time (and washing-up) saved, every day. 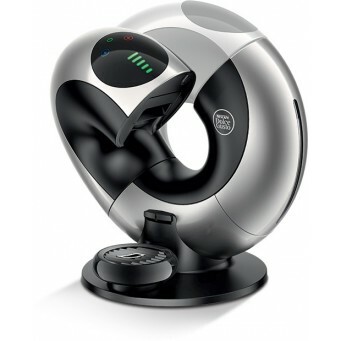 The Dolce Gusto Eclipse is a super funky and modern design, with an ultra-chic platinum silver circular design. It really is unique to anything available on the market, and definitely is an eye-catching statement piece for any kitchen. The size of the machine (when open and in use) is quite large, but if you are looking to space-save in a small kitchen, once the main circular body is clicked back together the machine is actually pretty compact. Speaking of homes, the suitability of this machine relies heavily on its limitations. A machine of this size will likely not work in an office of over 5 daily staff, something to remember when choosing the right machine. 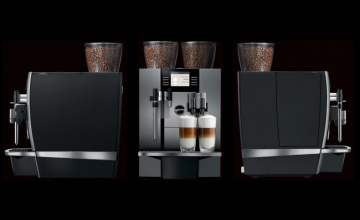 The style is also practical, with the body of the machine smoothly opening at the touch of a button with a drip tray that can be fixed at three different heights, even with an XL cup function, so you can make coffee in a variety of different sizes, using any mug, cup or glass you desire. To use the machine all the controls are touch screen, adding to the super space-age appearance. 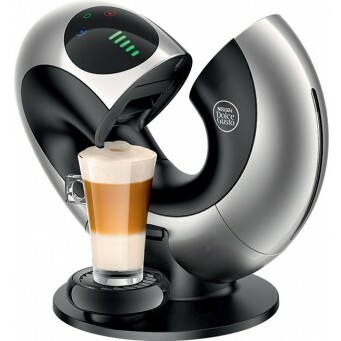 What Dolce Gusto Capsules Can I Use in My Dolce Gusto Eclipse? 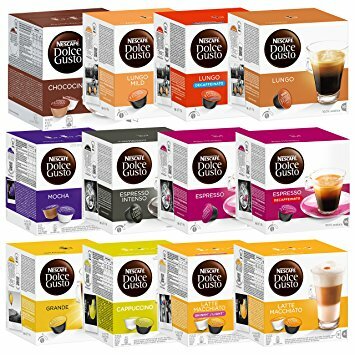 Dolce Gusto has a wide range of coffee pods – to get you started the machine comes with a little selection pack with a few favourites so you can enjoy a coffee as soon as you open the box and get to grips with your new machine. After that you can then order more pods, with coffee types ranging from Espresso to Latte’s, then onto the more exciting blends such as Caramel Latte Macchiato . One thing that sets this machine apart is that the machine will elegantly craft these drinks for you at the touch of a button, there is no need to add the milk yourself. The smooth espresso sinks from the top of the glass to the bottom but remains unstirred; creating a stunning layered effect that I’d never have expected from a coffee machine at home. New: Lungo Colombia, with notes of baked almond, nutmeg and barley. 100% organic coffee 100% Arabica. New: Espresso Peru, 100% organic coffee 100% Arabica. New Espresso Honduras, 100% organic coffee 100% Arabica. Cappuccino – an intense espresso with generous milk froth. The dark roasted Arabica beans balanced with the softness of the milk create a cappuccino with a smooth texture and perfect velvety foam. Café au lait – with a perfect balance of milk and coffee. The intensity of pure Robusta coffee meets the soft creaminess of milk to create a harmonious and balanced cup, with caramel notes, toasted cereal undertones and round texture. Ristretto Ardenza – shorter than a standard espresso, yet bold and full-flavoured. Most intense! Chai Tea Latte – shorter than a standard espresso, yet bold and full-flavoured. Most intense! 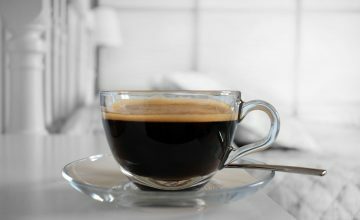 Preludio – A delicious and smooth coffee, perfectly crafted with the right blending of 4 different origins to deliver balance in aromas, enhanced by the adjusted roasting and grinding for an extra-long extraction. Caramel Latte Macchiato – Imagine the swirling flavours of creamy caramel and intense espresso topped off with a layer of frothy milk. Skinny Cappuccino – Deliciously intense and frothy, with only 50 calories a cup. Vanilla Latte Macchiato – Frothy milk with a vanilla twist and shot of full-bodied espresso. Or you can play around with combinations of any of these drinks to create your very own masterpiece! Watch the masterpiece in action here!